The following picture is a text I stumbled upon on Facebook. It struck me as truly important. The story in the picture is so worth reading. Yes, stories matter. They always will. They give hope where there is despair, ideas where there is misery, bond where there is solitude. 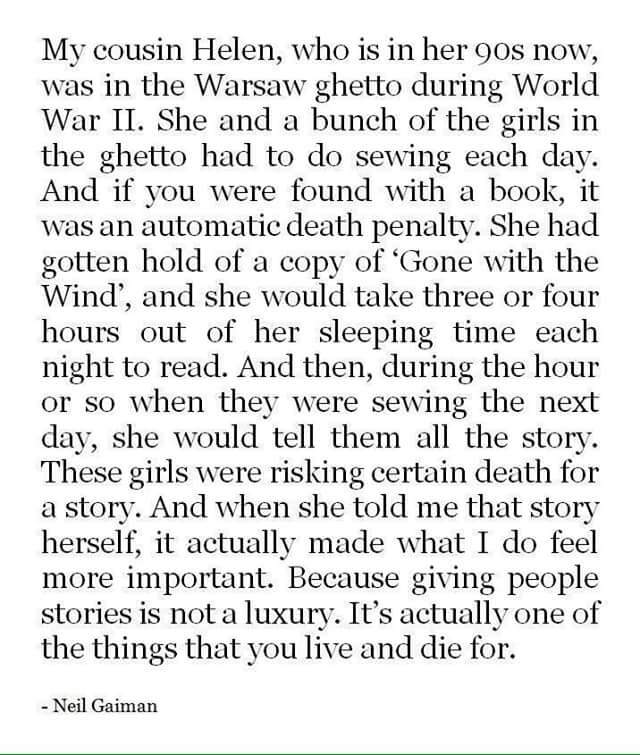 Sharing stories is so much more powerful than we sometimes believe. And with great power, comes… you know. This book was recomended to me by a friend who knows my fascination with old houses and their secrets, and quirky stories balancing the thin line between fantasy and reality, and my friend was right – I like this book. The plot is engaging and imaginative. The main character, the 16-year-old orphan girl Nyssa, is well-portrayed; you practically get the full picture on her character through action scenes of the first 2 chapters, and then some added info later. The story oozes with elaborate gadgets and the quirkiness of details (vehicles, clothes, machines) is both fascinating and scary. The author’s style is fluent, easy to read and well-edited, with no superfluous words, but the right amount of description and action. The use of artificial intelligence and robotics will probably be a thrill for the geeks among readers, although for me, it was their human aspect which interested me most. The infinite whatifs in the potential of AI combined with human character are clearly displayed in the story with many of their positive and negative effects. Nyssa Glass is a very curious and skillful teenager, great with electrical gadgetry but slightly weaker in social skills, who has pulled herself out of her shady, thieving, troublesome past, only to be pulled back in through scheming, blackmail, violence and, ultimately, her own curiosity. She is a witty survivor with a good heart, and the only thing I missed was a sidekick for her. In a way, I did get my wish, but that remains to be explained for those who read the story. I even liked her fashion sense and can see her in a movie. The villains got me curious and I wished we’d had a closer look at them, especially Albriet (I envisioned her as Eva Green for some reason), who showed such facets to behaviour and speech that I wished she’d hung in there longer. In fact, the author shows great potential in portraying characters, the proof of which is also the brief but important appearance of the benevolent Mr C., and I hope to see her balancing more characters in her stories in the future. The house Nyssa is ‘investigating’ for some shady customers with iffy motives but convincing arguments, is truly a nest of nasty and formidable surprises and horrifying shocks (avoiding spoilers). The author toys with the everlasting idea of humans who play the Creator (just) because they can, with personal agendas which, even if understandable, should always be questioned before implemented into action, but never are (or are questioned too late). Dr Frankenstein meets SF is a motive which keeps the author balancing the thin line between Dr Frankenstein and SF. 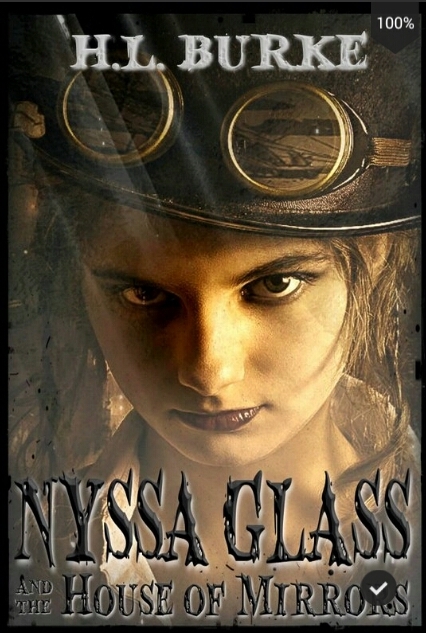 If you are a fan of steampunk, Nyssa Glass has quite a wide age span. The main character, gadgetry, tentative young love and quirkiness are attractive for younger audiences, although there is some adult content. Being a parent and teacher myself, I worried, throughout the entire second half of the book, what age group I would feel comfortable with reading this kind of a story, and this is what steered me away from awarding the highest rating. Certain gruesome details and the weird romance do need parental guidance and are not for the faint-hearted and impressionable younger teenagers. Adults will find the morality issues interesting, especially because most of it is not guided by financial greed, but parental love and how far would we go to save our own child. However, for the adults, the romance in the end is slightly weaker when compared to the rest of the story. This is a story Tim Burton would be interested in, and for a younger teenager it may be emotionally charged, so they might need a warning such as ‘do not try this at home’. Then again, warnings are usually invitations for teenagers anyway. The discoveries Nyssa makes in the house and the culmination of the story logically lend themselves to a sequel, which already exists and will make fans happy, thanks to the author’s intelligent writing and creativity. Nyssa and her new companion, an utterly uncommon couple, slightly eerie though romantic, will undoubtedly go through many more adventures and it will be a thrill to follow for those who like steampunk, interlaced wih horror, romance, wit and technology. 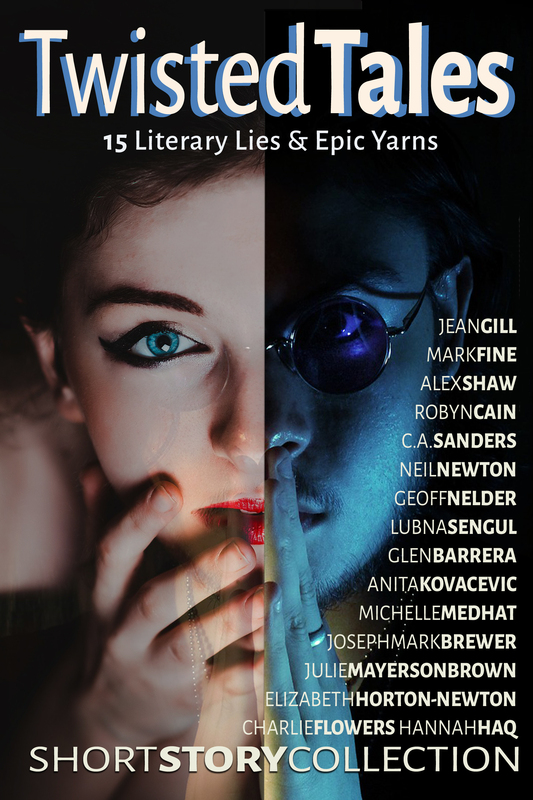 Since I have been asked to write this review for Readers Review Room, I am happy to award it a blue worm, well-deserved by the author’s writing style and vivid imagination. Another charming & fun story by D. Melling! Hugless Douglas has become one of my favourite children’s book characters, with his childlike simplicity, cute cuddliness and positive messages! 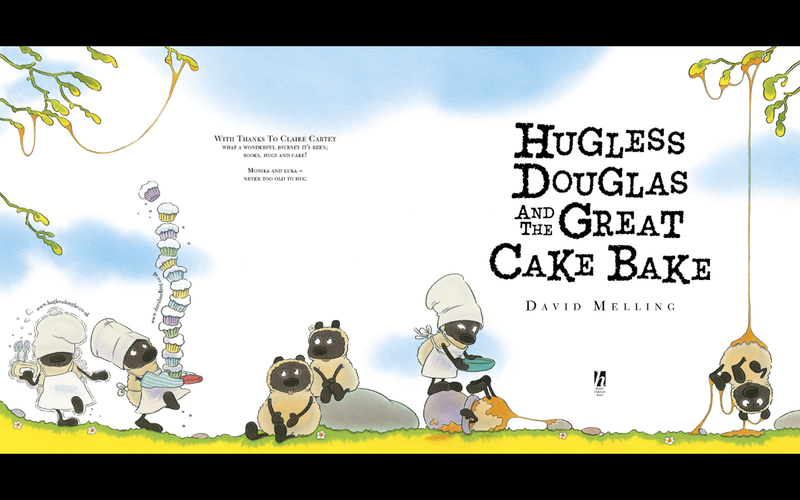 Can a picture book about making a cake teach your child about patience, eating fruit and veggies, friendly sharing and team work? It most certainly can. And more. Can it be fun while doing so? Oh yes, food fight and all! I am looking forward to reading this one with my little students, knowing my daughter already loves it. I absolutely adore the whole series and am rooting for more! 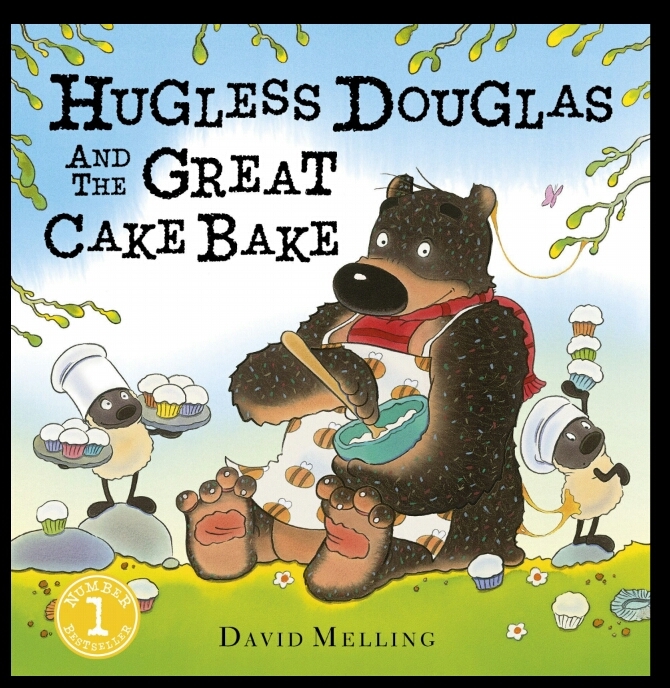 PS: Not sure if Mr.Melling hears Douglas speaking in the same voice as I do, but I always have fun reading the stories out loud! 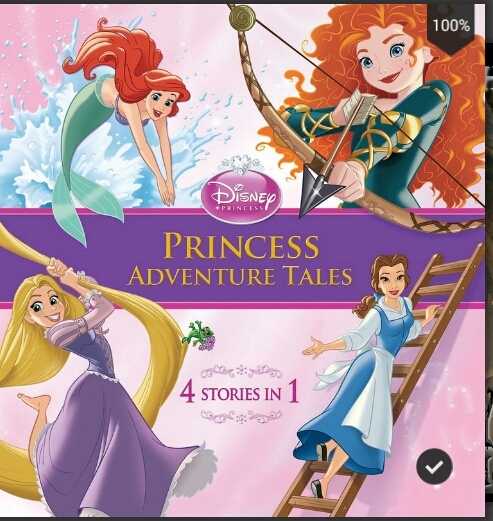 My daughter loves having me read these stories to her, although some are just a recap of the movies. We tend to talk about things more when we read, so we don’t mind the recap. 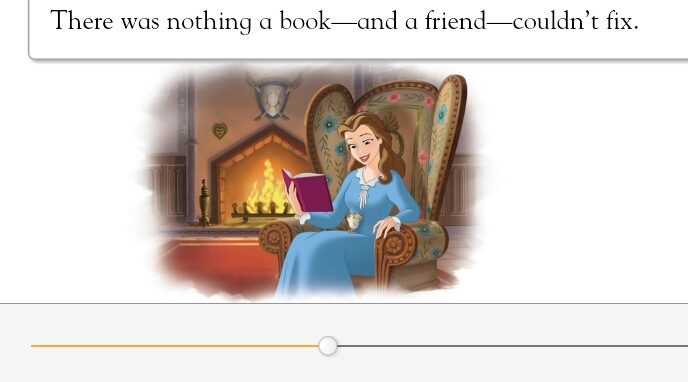 Merida and Belle are some of our favourite characters, and Belle’s story in this one has just the educational element I love – so much can be learned from books and friends. I purchased the e-book to save space when travelling with kids, although I do love a lovely paperback, and this will be a great addition to our trips. Bedtime stories, stories to read when queuing somewhere, even arts&craft inspiration. Love it! Sometimes I think this is alternate reality, sometimes I pinch myself, and sometimes I actually post it… seeing my name on this cover is just unbelievable. I should buy myself a paperback copy, using Lulu discounts (always something going on there;) and see if holding it in my hand feels real. Author Tom Fallwell has created a dangerous, wonderful and intriguing world, right down to its calendar, history and scents. 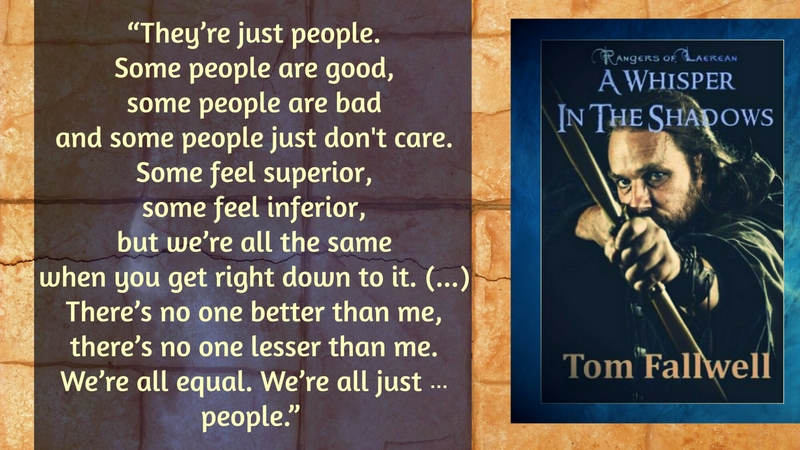 Fantasy fans will relish the detailed tapestry of characters, customs and lands in this story. True, paralels can always be drawn between our world and this one, but it is precisely why stories and fiction exist – to help us deal with reality. And what better way to find yourself than to lose yourself in fantasy once in a while! You may wonder what exciting and mythical things may be in store for a bunch of rangers, but nothing is ever what it seems. Even the title of the book bears a mystery, soon discovered, but reaching its true potential in the very end (wait for it, as I am avoiding spoilers here). Despite the apparent lack of spectacular events in the beginning (do not be intimidated by the geographical and historical data of Hir presented by the author at the start), the further I moved into the plot, the more I found myself wanting to read on. 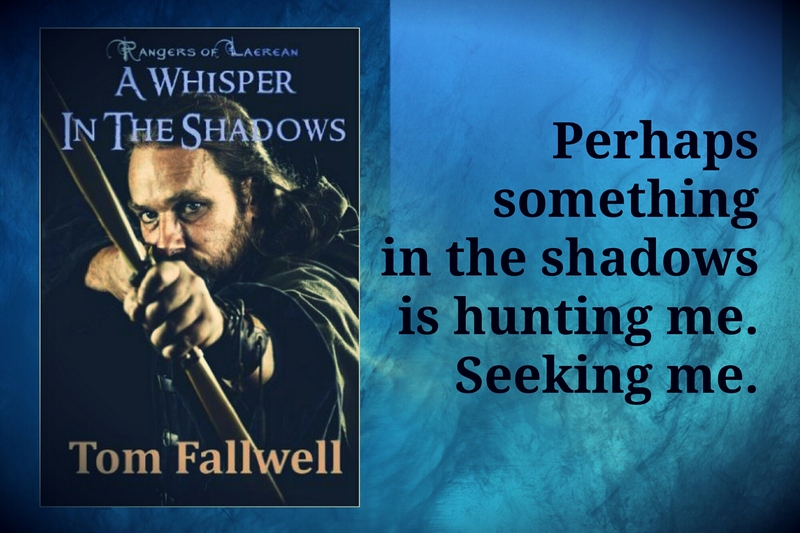 There is a steady pace of intensity, no huge epic battles in the first half of the book, not too many characters and creatures to get lost in, but enough to keep you interested and involved. I liked that. It is, after all, a ranger’s tale, not an elf’s or a king’s, so the slight down-to-earth feel to the story is natural. But do not think there is lack of magic, superhero courage or peculiar events and creatures. On the contrary! They are merely introduced with a sense of measure, not to overwhelm and drown the characters in ‘special effects’. What starts off as a simple rescue mission to save a kidnapped princess, soon develops into a myriad of complications and a world-threatening power struggle, selflessly suffered by the heroes and heroines. The characters, in my opinion, are the true wealth of the story. The romantic couple is strong, each with a formidable personality and skillset. The chemistry set between Baric and Raimerestha (or Whisper) is instantly clear, and even predictable, but I love that sort of romantic notion, of a contrasting couple joined through turmoil. Baric is an unassuming, strong and unavoidable hero, set in his ways but open-minded, whereas Whisper is wonderfully incomplete, unaware of her true potential and she grows throughout the story. Even the nickname is perfect! This is really intelligent writing with attention to detail, not only in descriptions, but also the behaviour of characters. Here is an example. The rangers and minor characters are all memorable and never overshadowed by magnificent and frightful beasts or magic. 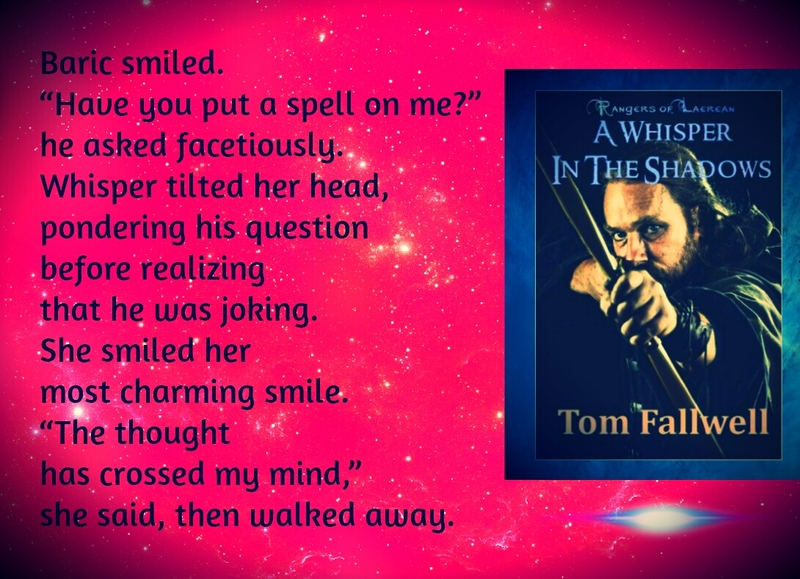 I truly enjoyed Tom Fallwell’s depiction of the mindset of the Rangers as they set out on a quest together. He manages to portray the brotherly pack mentality with loyalty and discipline, without wasting words. The Wolf-Bear relationship is one we expect and look forward to in adventure stories, and wish for in real life. The creatures, architecture and nature are wonderfully painted, both fascinating and horrifying, and the action scenes are spectacular, especially as the story progresses. I found the scene of Baric fighting a lion particularly dramatic and almost movie like in its graphic quality. It might also make a good plot for a video game. What adds to the strength of the scene is the fact that it’s the first time Baric sees a lion and he is not on familiar ground. And this scene is only a hint of the cliffhanger moments to follow. The author’s style gets better and stronger as you read on, as if he himself was more and more immersed in the story. The second half of the book, will have you biting your nails and hating to leave the book to go to work. It will make you dizzy and have you rooting for the characters, and leave you wanting for a sequel once you reach the ending. The main thing fantasy should do is make you feel as if you are there, make you want to follow the characters on their adventure, help them out and visit those worlds again. Tom Fallwell’s world has that inspiring, inviting quality. You can compare it to other famous fantasy authors – the key object being an item of ultimate power which must be destroyed, the brotherhood of rangers led by a tiny being to save the world, etc., but comparing does not diminish the strength this story carries within its own genre. Sometimes I even like to compare reading certain books to music. This one played out to me like Ravel’s Bolero. Slow and steady in the beginning, with a tumult of epic action and emotion in its second half. And the tune stays with you even when you set it aside. I can see this book read and analysed by fantasy geeks who will read and reread it in search of any flaws or timeline glitches, just as they do with the fantasy classics. I am always in awe of authors and artists who manage to create a whole new world, with creatures, plants, laws, cultures, languages… True, it does all come down to the same good vs, bad principle, but it doesn’t mean we shouldn’t enjoy the diversity. I love the way Tom Fallwell’s main character Baric explains it. You will always know too little. Feels kind of like being jammed into a really bad sandwich. Truly does. On one hand – I live in the countryside which is lovely and green, it’s the end of school year so my teacherly obligations are supposed to be dwindling, I have some minutes to myself, with my teenage son in his room, tests all done and ignoring me to high heaven. On the other hand – my neighbours are mowing their lawns on each side of our house with unbelievably loud mowers, and I am in a time jam between mumie stuff and work stuff, trying to multitask and set aside at least 15 mins for my own writing, my dream hobby. No pressure whatsoever. Inspiration will come. Probably 5 minutes before I have to leave for work, but who cares. And hey, I actually managed to write a blog post. Slightly lame, but honest. No idea how you people fit in all the stuff you want to do, are able to do and dream of doing? Share a magic tip with me? Pretty please? 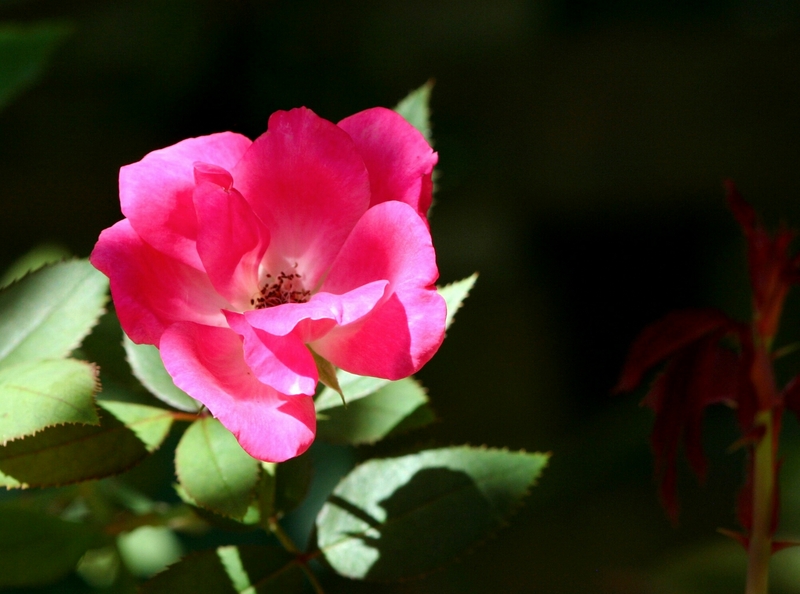 Anyway, have a cuppa, stop to smell the roses and forget about time. Seize the day! This is the second book by Christopher Holley that I have picked up. The first one I read, A World without Water, was done with love and very educative, and this one is even better. 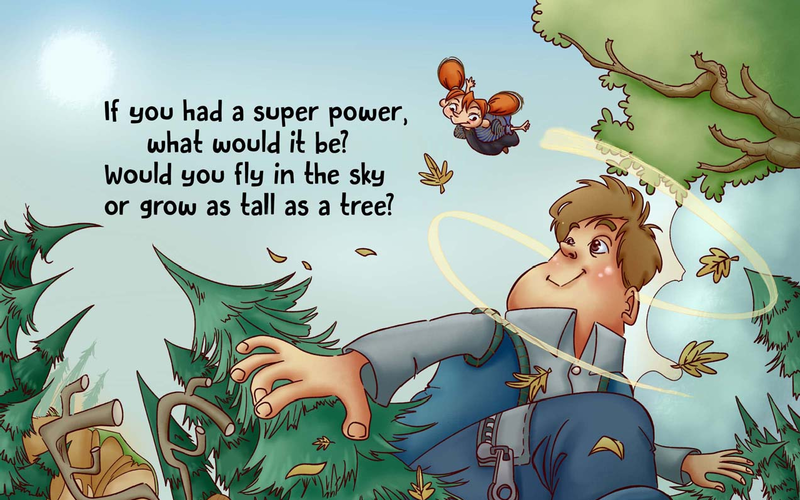 It invites the children to think about superpowers and what could be achieved with them, using rhyme and wonderful illustrations (really well-done, Kabita Studios), but also teases and challenges the children with some alluring superpowers that might not be nice to others(mind control made me giggle). 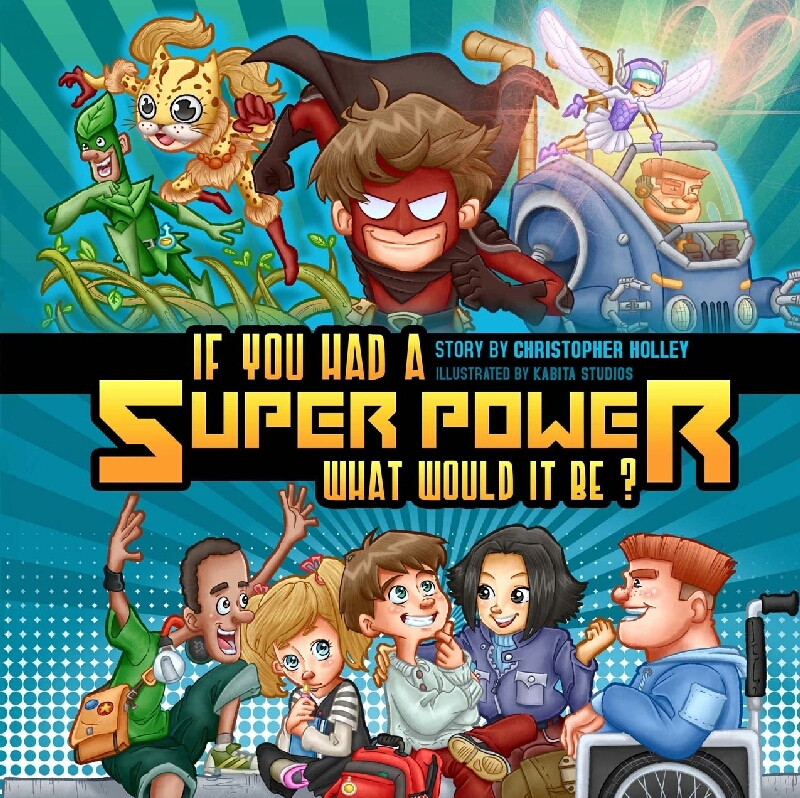 The final parts are educational, where kindness, generosity and family are placed above all fictional superpowers. Being a mother and teacher, this is my favourite part. Some may say we need not preach to the kids because they are clever enough, and we should just let children’s books be fun. Well, I have been working with children for over 20 years and, trust me, children do want fun (don’t we all? ), but if all you give them is fun without any challenges and responsibilities, they will be hurt, even insulted and disinterested. Children want to be challenged, they need to be counted upon, they want and need their opinions and actions to matter. And they want it all to matter to us. This book covers all those points. It will be fun for children to read by themselves, for parents to read with them, it lends itself to classroom use and inspires debate, creativity and critical thinking. This review is written for The Readers Review Room, and according to the rating system at RRR, the best I can give a book is a gold worm. Despite only slight suggestions I might make (page breaks which slightly break the rhyming rhythm, and no initial or final note from the author which would be a wonderful touch), I have decided to award it the gold worm, and I will definitely be recommending it to my friends and colleagues. (This is a screenshot of a detail from the book, just to prove the richness of illustration and lovely rhyming style). 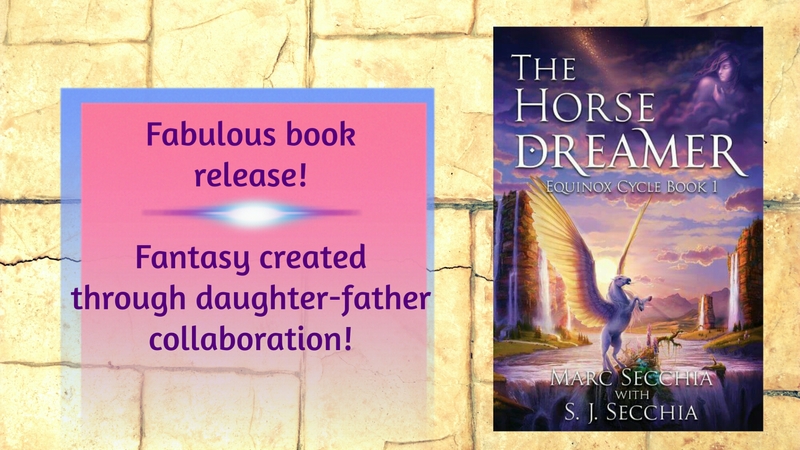 Such a rare pleasure to interview both father and daughter who have just released a wonderful fantasy book HORSE DREAMER, a book about overcoming adversity through the power of spirit. I am so pleased to welcome them both to my blog, and looking forward to reading the book this summer! Thank you, S.J. and Marc Secchia, for the interview and for proving that children and parents CAN make miracles! I bet your family is proud! 1. Tell us a little bit about each other. What matters about your dad/daughter? Marc: S.J. is eleven and we share a love of books and reading. We also share overactive imaginations and a love of travelling to fictional worlds. We live in Ethiopia most of the year where it is more difficult to come by books. S.J. has a deep love of animals, particularly horses, and most weeks can be found down at the local stables or trail riding. S.J. : I love sharing book ideas with my dad. That is how we got the idea for this book. 2. Whose idea was it to co-author this book? S.J. : Horses are my passion, so I loved working on the book and thinking about what a world of horses would be like. Besides, I love working with my dad. The world was fun to create, and very different from Earth. Marc: We wanted to do something together that explored not only our love of fantasy fiction, but was a dad/daughter project we could really sink our teeth into. We spent hours brainstorming, especially the different types of equine life, and building the world together. 3. The story starts with a tragic event. Why did you choose to place such a huge challenge in front of your main character? What is your goal? Marc: I’m afraid this is my fault. S. J. didn’t want this beginning, saying it was too ‘mean’ – I wanted something powerful and gripping that really launched a reader into the story with perhaps one of the worst experiences anyone could imagine, certainly a terrible loss of the dream of being an equestrienne. The opening scene is a car crash in which Zaranna loses both legs at the knee. S.J. : We wanted to write about a character who can overcome despite her disability–which is itself a difficult, often negative word. Zaranna is a fighter and a dreamer. She overcomes huge physical and emotional challenges in this story. Marc: Just to add, there’s a positive hidden inside ‘disability’, which is the word ‘ability’. As S. J. said to me, this should not mean there’s a lack or something wrong. Each person is unique and gifted with their own special qualities. Sometimes we don’t see them as we ought to; we maybe see only the outside or the apparent challenges a person may have. Yet traumatic experiences such as Zaranna has, change and scar us as people. Good can come out of grief and loss, but we didn’t want to minimise her struggles. Just learning to walk on her artificial legs is a result of months of physiotherapy and recovery. In our tale, this trauma is also a trigger-point for Zaranna to start to discover some of the abilities hidden inside of her as a person. 4. Tell us a bit about the writing process. 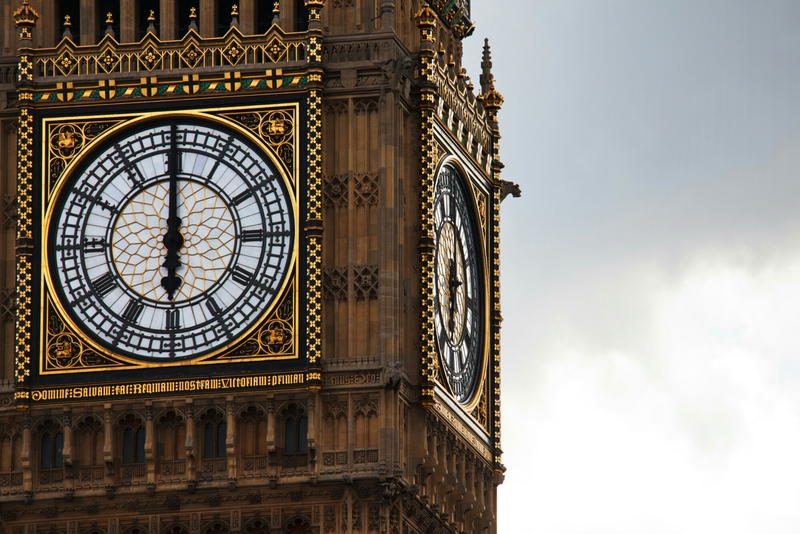 When and where did you write, who called the shots in the first draft, who pushed the editing? Were there tough moments, especially when deciding on the fate of some characters? S.J. : The plot was my idea, but my dad developed it into something much better than I had originally planned. I love the book, and plan on rereading it as soon as possible. I was a very picky editor, and kept on editing the book before we were actually ready to edit. Marc: The writing part was mostly up to me but S.J. kept a beady eye on proceedings, reading every chapter or section before it was finished (and after!) and making suggestions for plot, characters and the world. The main plot and story ARC was entirely her idea, and we did disagree as I said, especially over the opening chapters and what happens to Zaranna there. I get up at 5am every morning to write. I worked off the outline, a mindmap of the world and the character sketches we worked on together. 5. What was the most fun moment you shared while working on The Horse Dreamer together? S.J. : Making up jokes to add to the story. 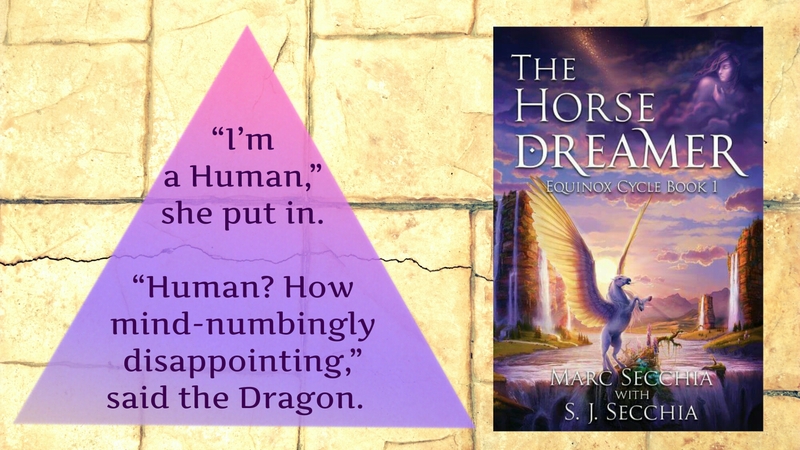 Marc: Figuring out how to turn Equinox into a reality was fun, but the best was to hear S.J. chortling away while she was editing. 6. 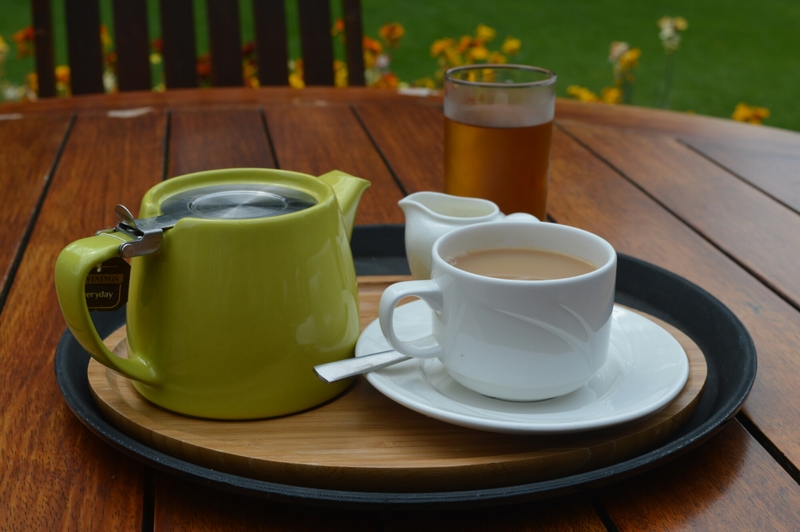 Practical stuff – what’s your muse food? Did you fight over chocolate or berries while writing? Marc: Coffee, coffee and … coffee. Has to be Ethiopian coffee or I’d never write a word. 7. Who is your favourite character and why? S.J. : Zaranna is my favourite because she’s strong and confident, and like me in the way that she likes horses. Marc: I love the crustiness of Illume the Stars, the Dragon, whose ill-humour and fieriness disguise a soft heart, but my favourite has to be Whiz and his wisecracks. 8. How did it feel to type ‘the end’? S.J. : A bit sad to finish … but I’m looking forward to writing the second book in the series. I already have lots of ideas as to what will happen. Marc: Great satisfaction. This is a story I’ve grown to love. I think it takes the reader on an emotional rollercoaster but without giving away too much, S. J. and I are both suckers for a happy ending. 9. Any plans for the future? Message for the readers? S.J. : I’m working on buying my own horse. And we can all learn from Zaranna never to give up, no matter how difficult our circumstances. Marc: What S. J. said. I believe one of the greatest powers of the human condition is the potential to overcome. It may take courage of an extraordinary kind, but we believe and pray you will find that courage in your life. “I’m a Human,” she put in. “Human? How mind-numbingly disappointing,” said the Dragon. Without further ado, Shuzug majestically and masterfully whipped out what appeared to be a flaming mallet, the head of which approximated the dimensions of a double-decker London bus, and whanged the Pegasus with a report like a derelict building being dynamited. Thank you, S.J. and Marc! I hope you inspire parents and children to read your book and learn lots of positive things from it! And readers, don’t forget to review the book and recommend it to your friends! 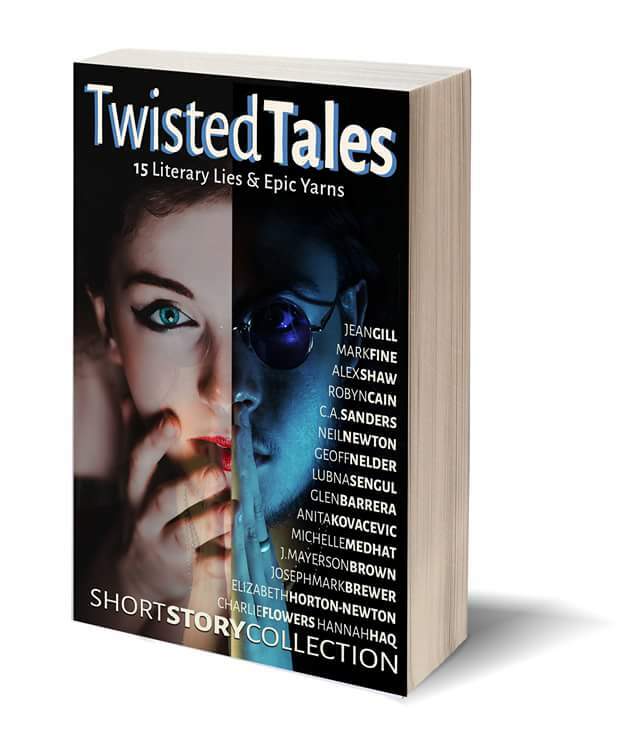 Twisted Tales, a short story collection which features one of my stories as well, along with 14 phenomenal authors, is now available in paperback as well! Amazing! Might not seem like much to you, but dreams do come true. It takes time and effort, but it happens.